Luigi. . Wallpaper and background images in the Luigi club tagged: luigi. Sorry Mario, Luigi and Sonic are Pizanos! Luigi Gets His Hero On: Hooray for 15 Chapters! That's right Luigi, the L doesn't stand for loser. 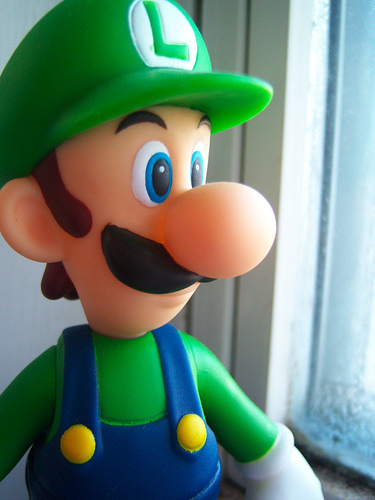 Luigi Gets His Hero On: Hooray for 20 Chapters! Boo/ Ghostbuster Luigi: "Peace out, Pisanos!" Luigi Gets His Hero On: Hooray for 10 Chapters! "Dear TJ, from Ghostbuster Luigi... "
Look out, Luigi! Behind you!!! The Luigi Travels: Luigi High jumping at Red Rock!